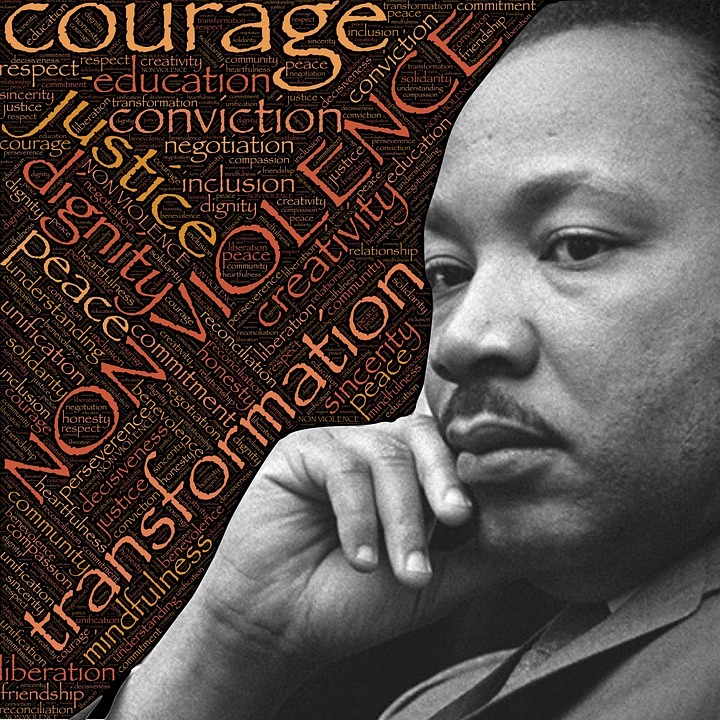 How Does Lodi Honor Martin Luther King Jr.? By Celebrating — Lodi Live! Last year’s crowd at the Annual Celebration of Unity. 2018 crowd listening to speakers. 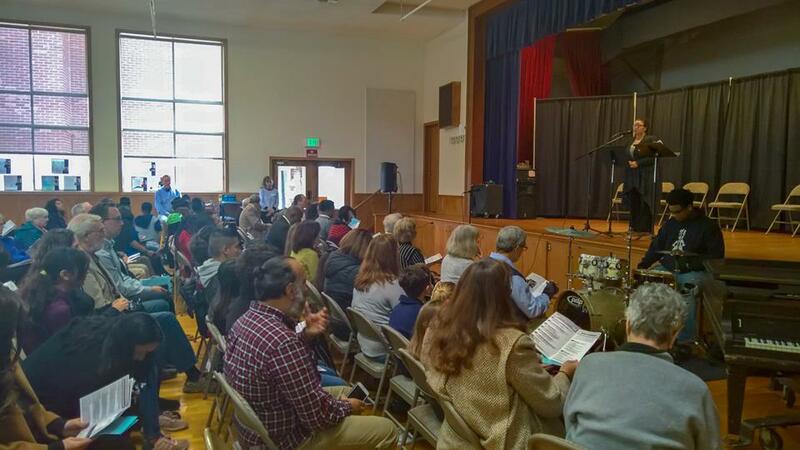 On Monday, January 21st, the Breakthrough Project for Social Justice hosted their annual event, the Martin Luther King Jr. Celebration of Unity. The event is an opportunity to honor Dr. King and his message of peace and equality. This is a great event where people from all over the community come together. It’s a sobering reminder of how far our nation has come in the last few decades and how much we have to be grateful for from the men and women who came before us. Is everything perfect? Of course not. Are we make strides in the right direction? Yes. Churches, schools, and the police department work with the Breakthrough Project Committee to make this a successful event that everyone in Lodi is invited to join. People need to come together to live in harmony. We’re not all always on the same note, and that’s okay, because it’s the harmony in a song that makes the music beautiful. This is what was described by the event’s opening speaker. Martin Luther King Jr. understood the concept of peace and understood it was everyone embracing their differences and uniquenesses that makes a community thrive. I was only familiar with the Breakthrough Project because of their Annual Celebration of Unity event they hold every Martin Luther King day. The organization formed in 1998 after a burned cross with racial slurs was found at Tokay High School. The Breakthrough Project was created because, in the words of Martin Luther King’s wife, Coretta Scott King, ““It doesn't matter how strong your opinions are. If you don't use your power for positive change, you are, indeed, part of the problem.” Lodians took action to say, “This is not okay. This is not what our community represents.” Burned crosses are a far cry from the livable lovable town we boast of. The Breakthrough project was created to fight back against and prevent hate crimes.According to their website, the organization works with the Lodi Police Department, and they work as liaisons between the police department and members of the community who are targets of hate crimes. They also do vandalism and graffiti clean up, and work to promote peace and unity, through appreciating diversity, to prevent future hate crimes from happening. Much of this work is done through student engagement and scholarships. Some of the student engagement comes in the form of an essay contest for Annual Celebration of Unity. This is my favorite part of the event. I remember being so moved by one of last year’s speakers, that I can still recall her talking about the impact representation made on her, and why seeing people she identifies with matters to her. I can’t remember what I ate for breakfast, but here we are a year later and this young girl’s eloquent essay is still on my mind. Fifth and sixth grade students submit essays and the theme this year was to write about what it means to “use your power for positive change.” This year’s fifth grade winner was 11 year old Bella Breech from Larson School. What I love about these kids’ essays is they always seem so much wiser than their age. How do these kids get so darn smart?? They’re so smart and observant, and have a very clear understanding of right from wrong. This year’s winners were no exception. I wanted to share a couple of bits of Bella’s essay with you here. From the mouths of babes. This essay finishes with Bella continuing how she plans to help people in her own community. This is why I love this event. It highlights some of our town’s best and brightest and kindest. We are responsible for helping others and creating a better world, and we have it within ourselves, each and everyone one of us, to make change happen. Preach, sweet girl. How good does it feel to know some little one, so wise, is right here in our community? Pressure is on, adults, to do good because you know at least one little girl is watching. This Celebration of Unity is such a great opportunity for our community to celebrate our youth, our uniqueness, and our opportunity to unite our community. The Breakthrough Project also recognized peacemakers in our community: Kathy Piazza, founder of The Village; Luis Magana-Acevedo, founder of Organizacion de Trabajadores Agricoles de California; Bianca Duenas, an attorney at California Rural Legal Assistance Foundation an former Equal Justice Works fellow; and Janice Roth, an independant community volunteer and advocate. Thank you as always to the members of the Breakthrough project for bringing everyone together.